Charron, E., & Stewart P. (2003). 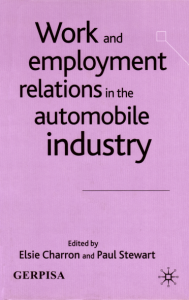 Work and Employment Relations in the Automobile Industry. 297.